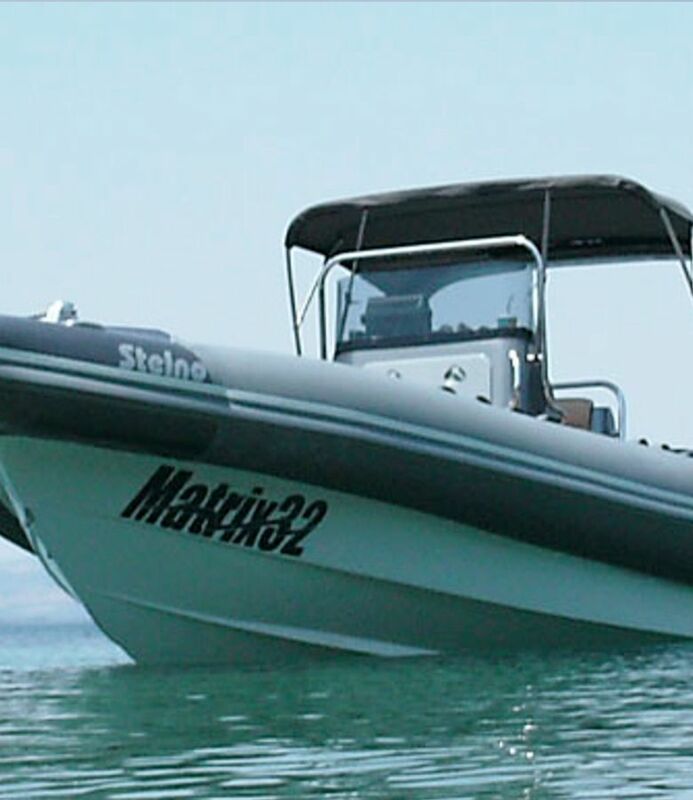 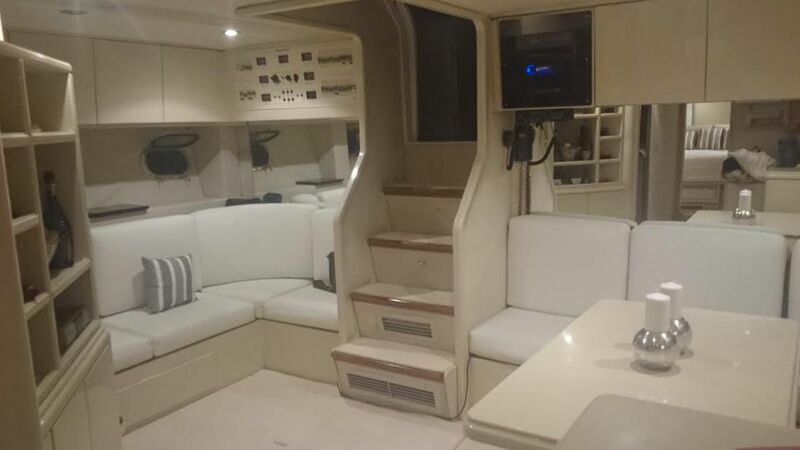 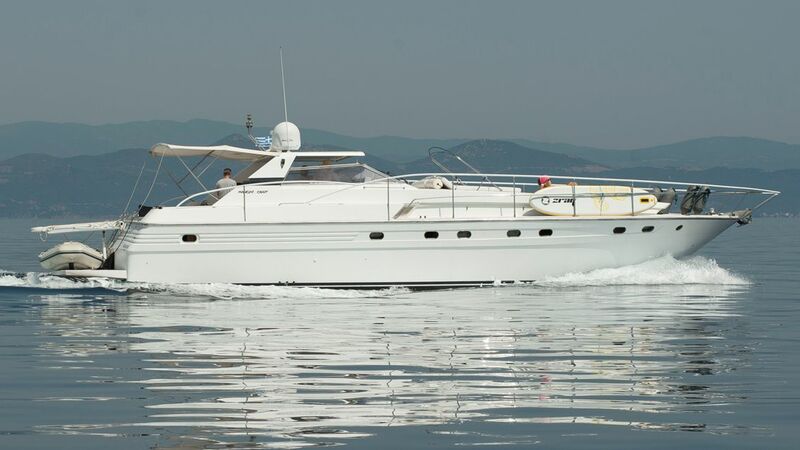 It is equipped with all necessary electronic equipment for a secure sailing. 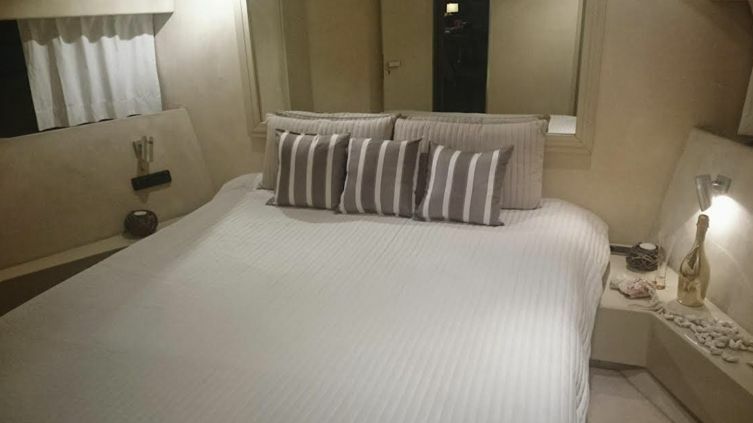 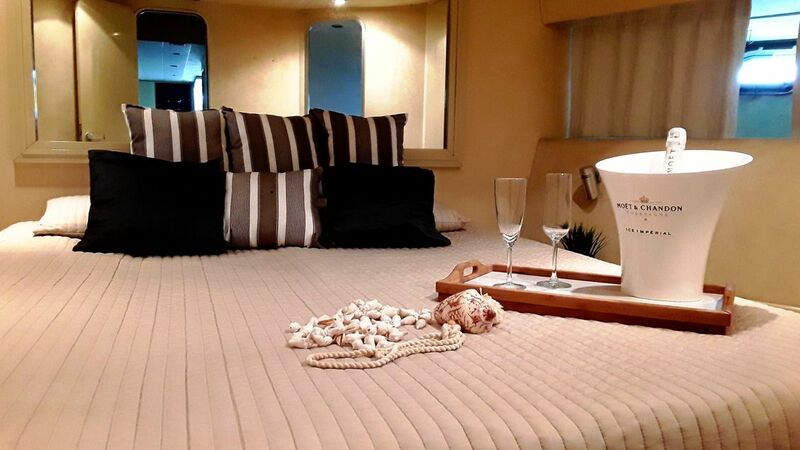 There are 2 double bedrooms and 2 bunk beds with 3 bathrooms and a very spacious living room and dinning area. 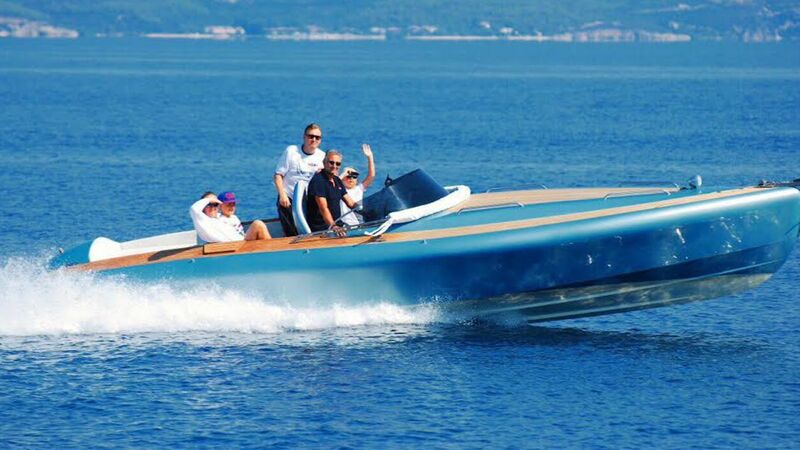 Has big outside spaces that make it ideal for daily cruises. 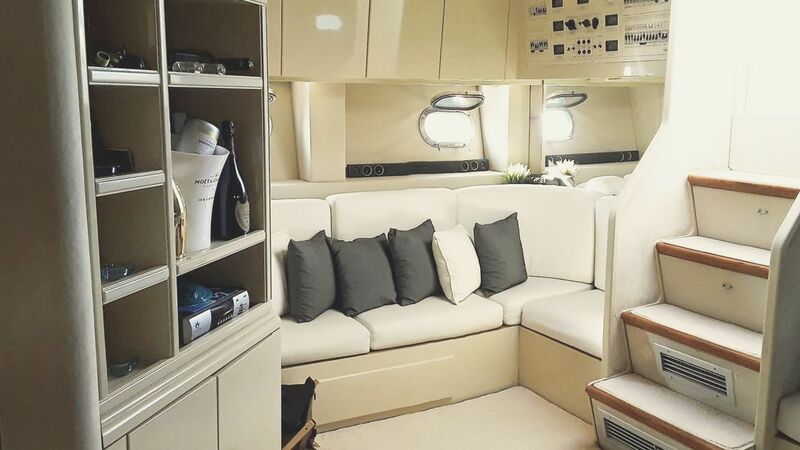 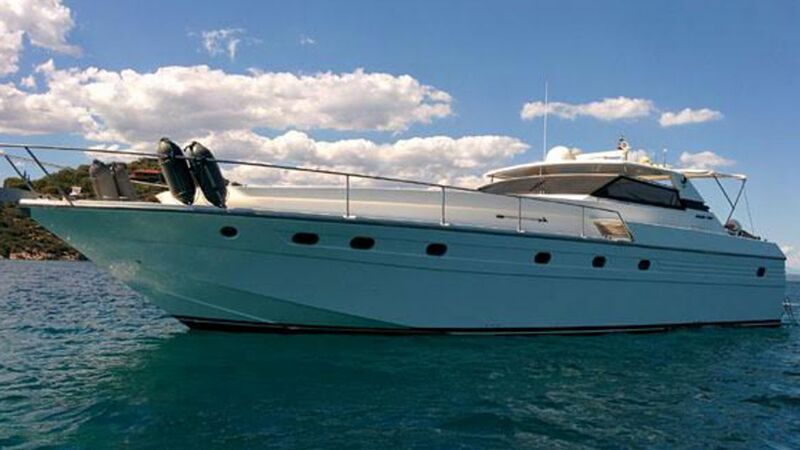 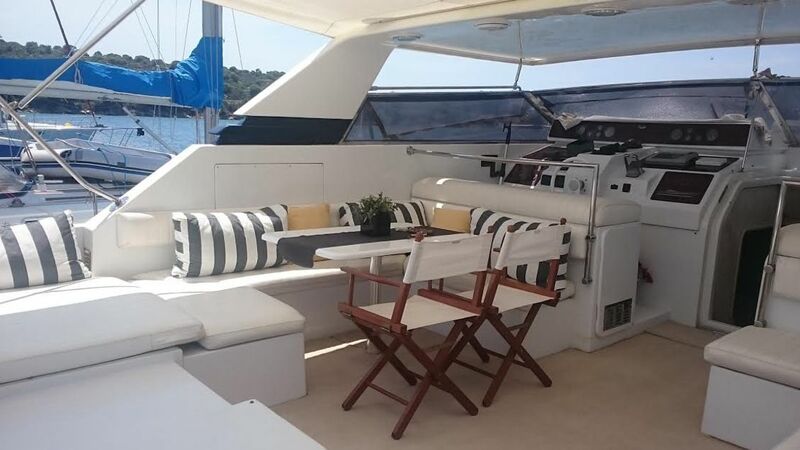 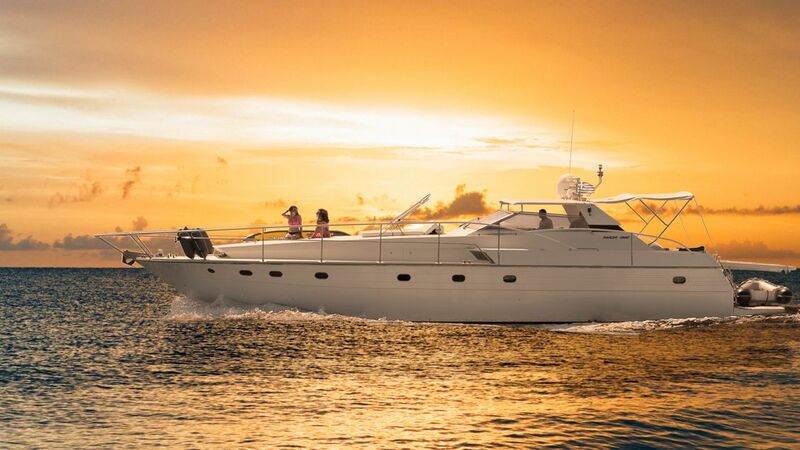 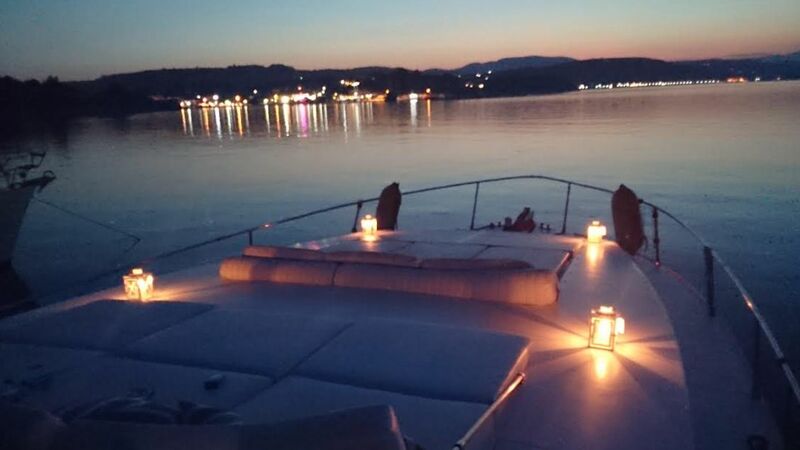 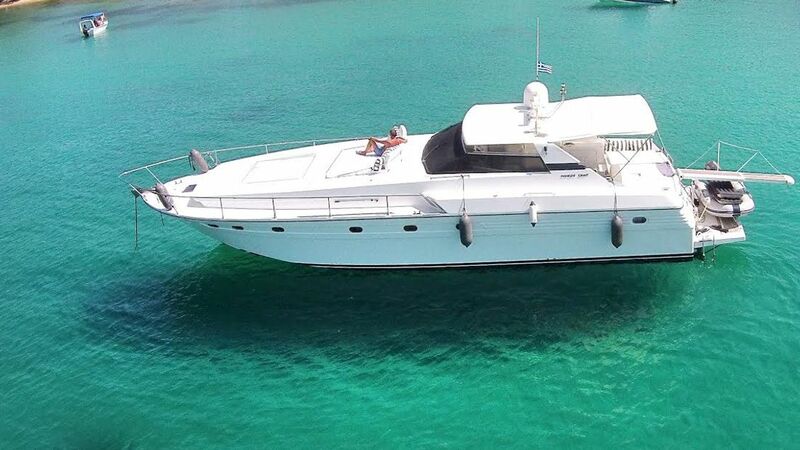 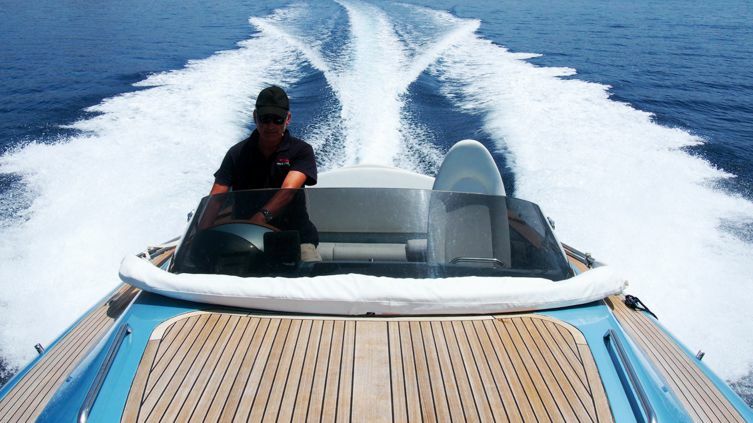 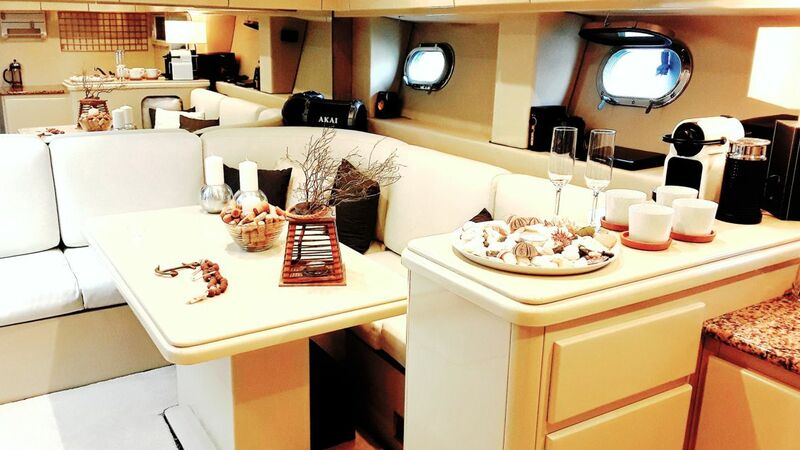 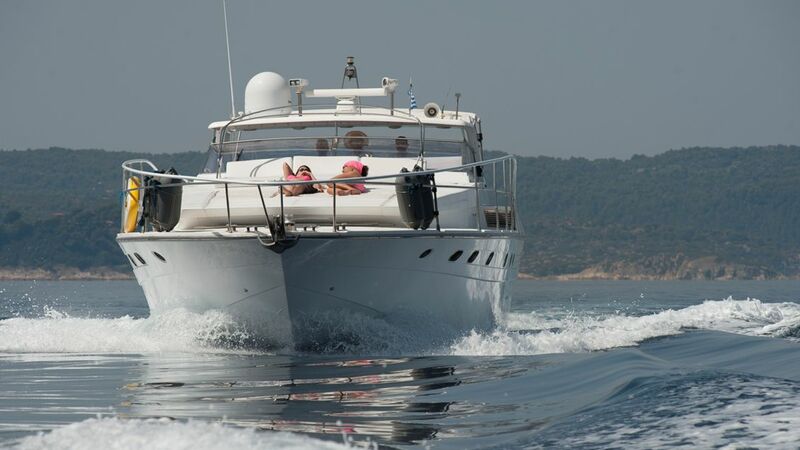 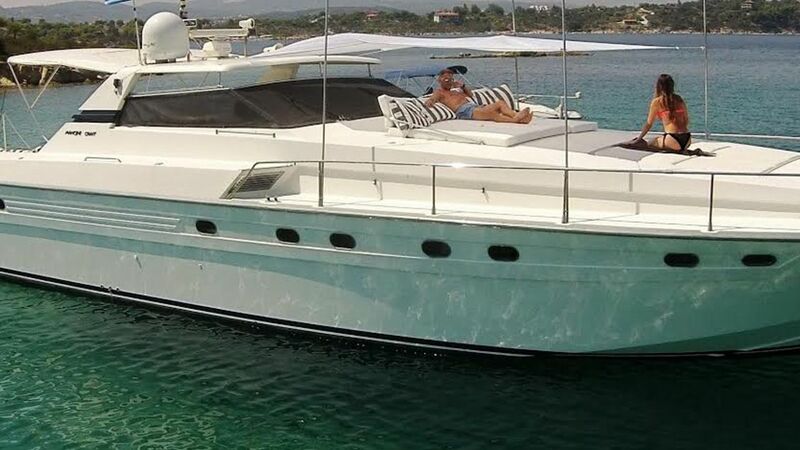 It is ideal for all guests who want to experience the Greek summer, explore the clear water of the Mediterranean sea and organize their events on board. 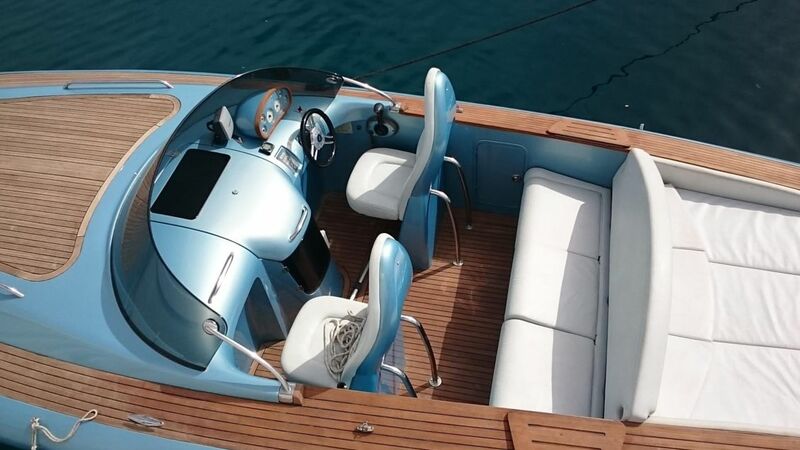 The design is clearly inspired by the motor vehicle industry such as the stern with its shape taken from 1965 Porsche 956, the air intakes of the BMW Z3, the seats of the Smart, the filler caps from the Audi TT and the steering wheel from the New Beetle. 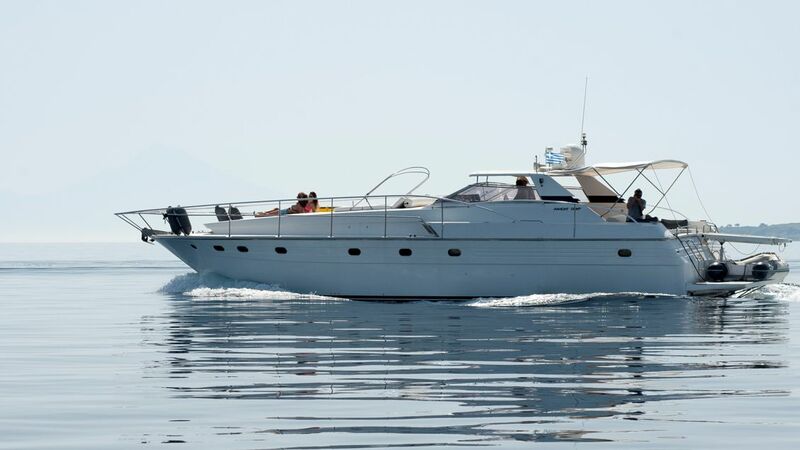 The exceptional and inimitable lines of this vessel create a new masterpiece of ITALIAN nautical handicraft, reference to luxury and glamour... a true jewel of the seas. 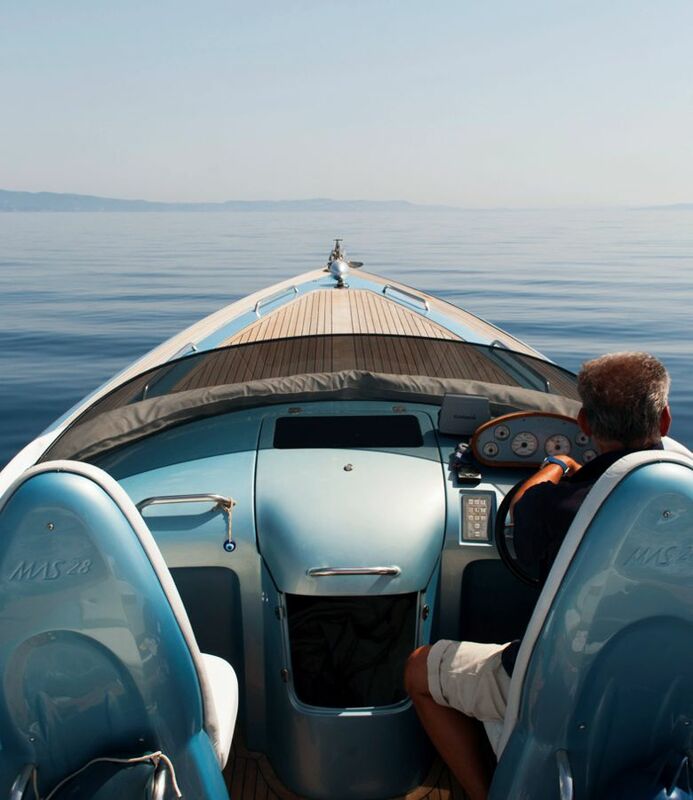 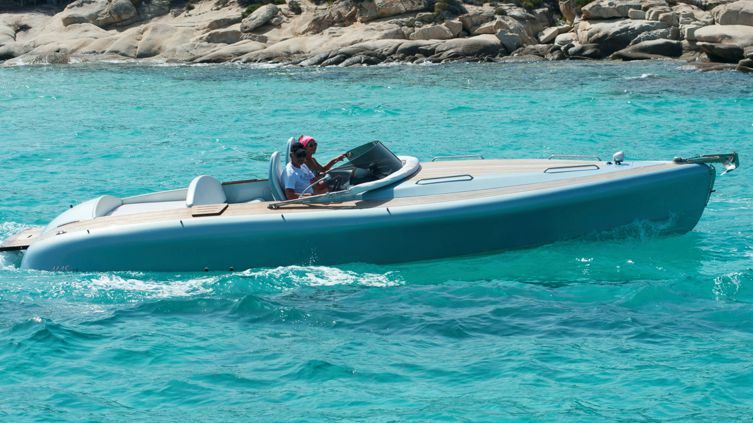 Elegance and harmony in this dazzling blue handmade speedboard (as the velvet blue Aegean sea), make this masterpiece of the sea the perfect vessel for romantic couples. 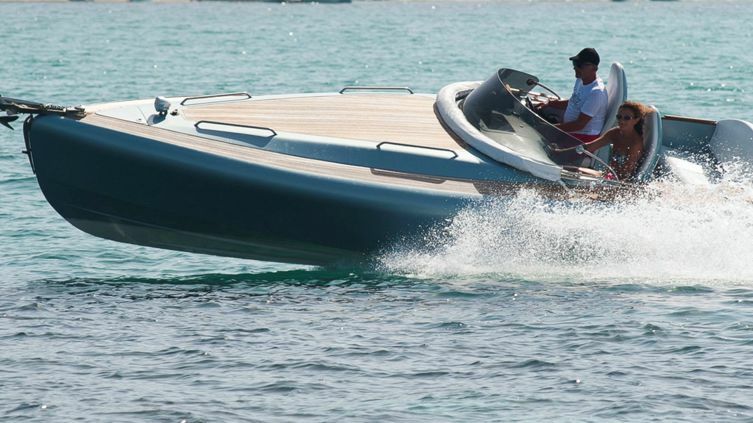 Fast and stable, it travels safely in extreme weather comditions. 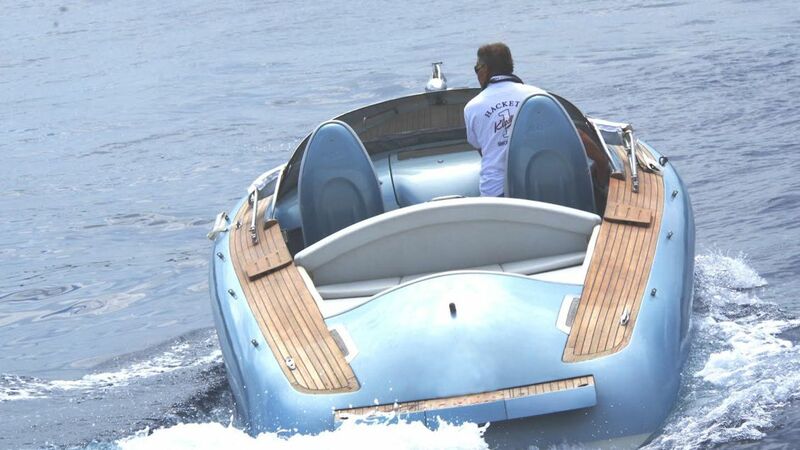 A beautiful boat to look at and to feel ! 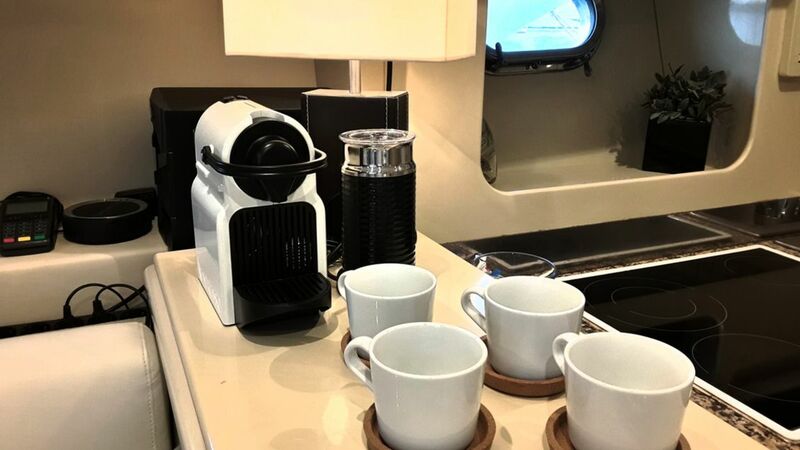 Its deck ensures exceptional ergonomics and modularity. 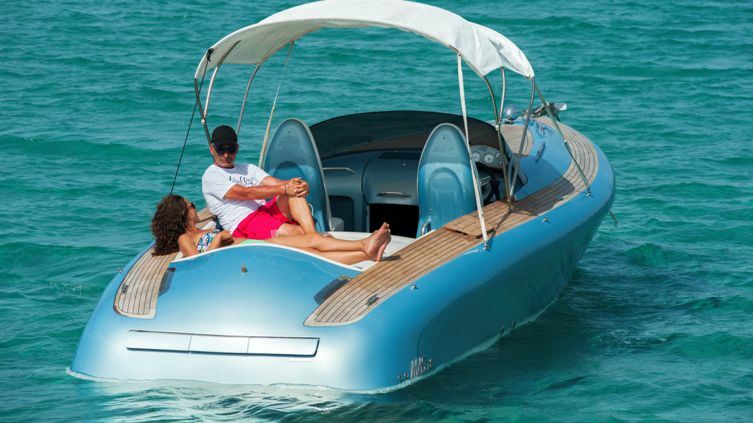 On-board movement is easy, the sundecks are spacious and easy to set up. 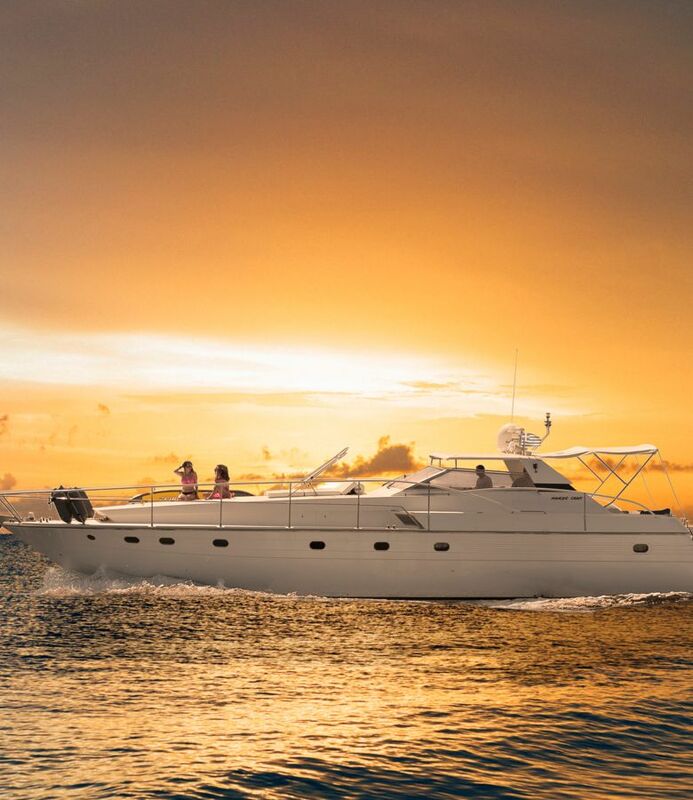 The afterdeck feels comfortable and secure. 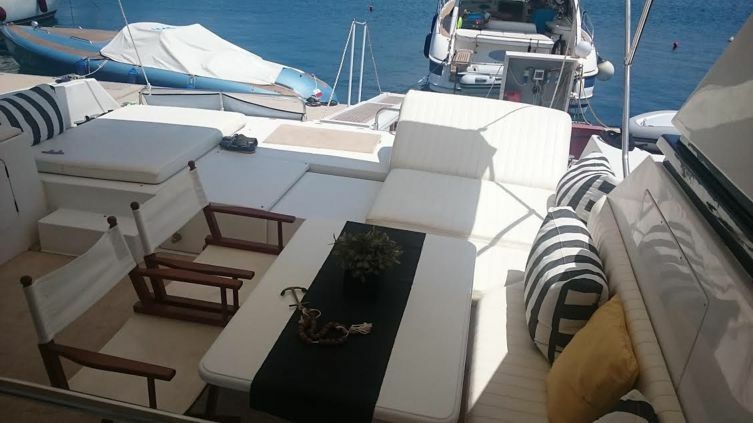 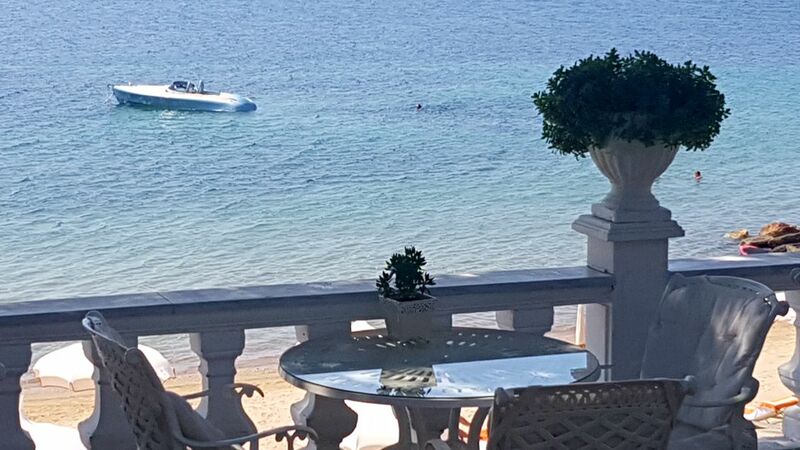 Enjoy sunbathing, eating or swimming, it couldn't be easier! 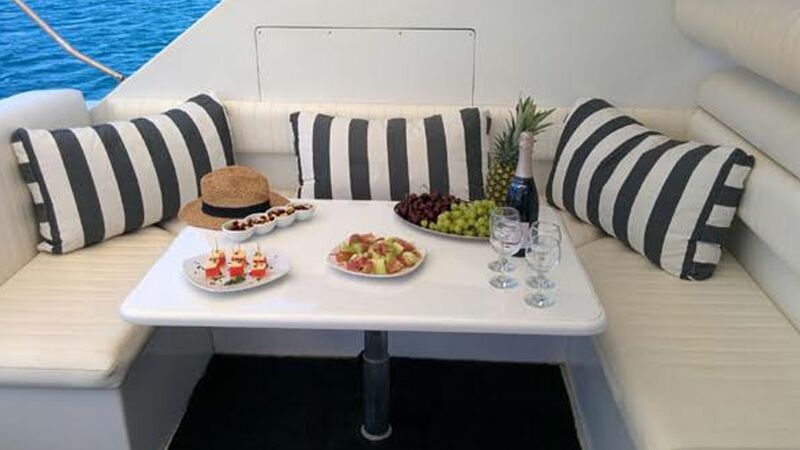 Our aim is to offer hospitality to our friends from all over the world, to show them around the unique attractions, to talk about our history and civilization, to treat them with traditional delicacies and to make sure that every moment they spend with us is exceptional. 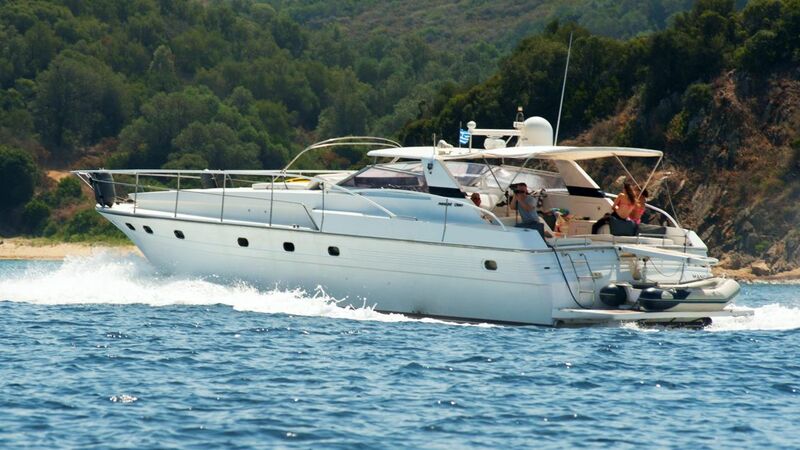 We organize marine trips in the SITHONIA bay on a daily basis.